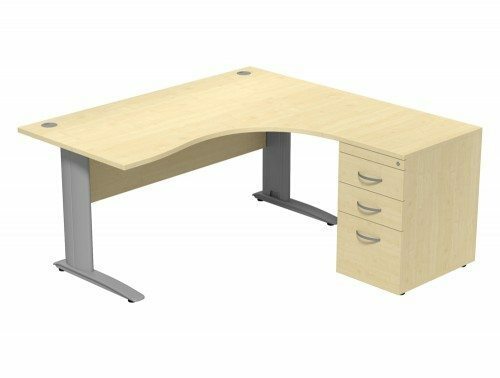 Radial or L-shaped office desks are a practical way of making the most out of your workspace. 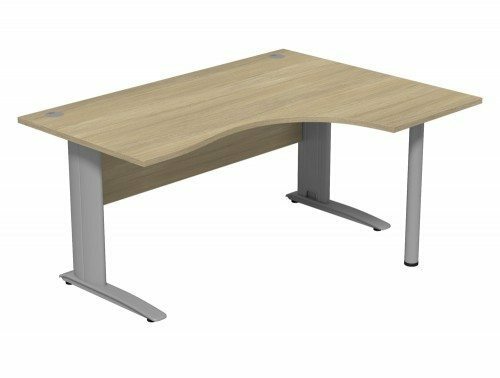 Designed to fit into the corner of your office, they maximise your working area with a sizeable tabletop, while limiting floor space wastage. 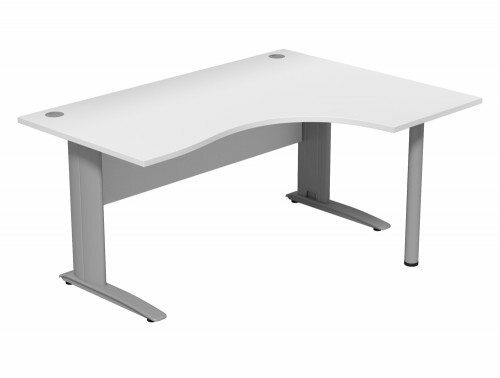 L-shaped desks are ideal computer desks, with an additional working area for positioning printers or desktops. Our range of radial office desks are suitable for all room sizes and come in a variety of different finishes and styles. Our exact sizes include 1200mm, 1400mm, 1600mm and 1800mm desks. The desks are customisable with incorporated or additional cable portals, modesty panels or desk screens. To further upgrade your corner desk, you can select and combine from up to 16-panel colours and 4 metal paint colours. Do you want to keep your office organised? You can incorporate CPU holders or flexible cable management systems from our stock, including power modules, cable baskets and cable spines. For an ergonomic desk add monitor arms or sit-stand desk mounts. 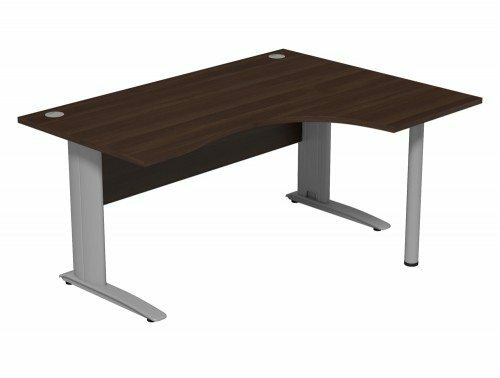 They adapt to your needs and their adjustable mechanism helps you maintain a healthy posture and avoid the health problems related to stationary office work. We take quality very seriously. Our suppliers include Ashford, Komo, Switch, Buronomic, and Noti. These brands are well-known for products that are durable and well designed. 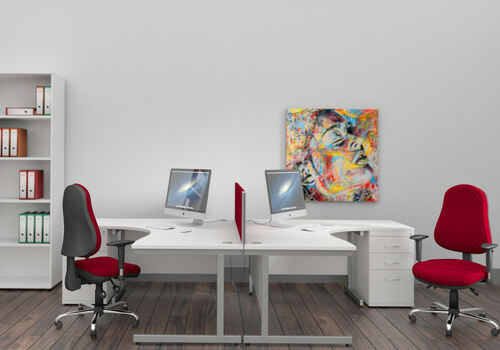 Regardless of your budget, we guarantee that you will find a desk that suits your needs at Radius Office Furniture! 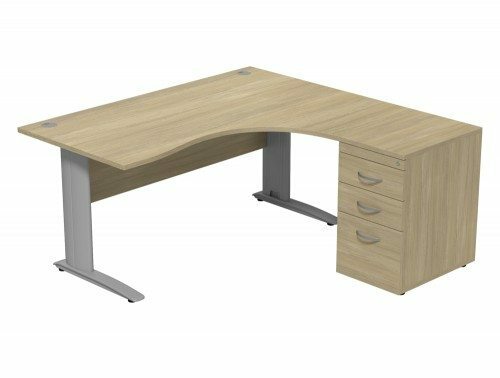 Browse our wide range of curved office furniture for more details. Do you need to decorate a limited space? 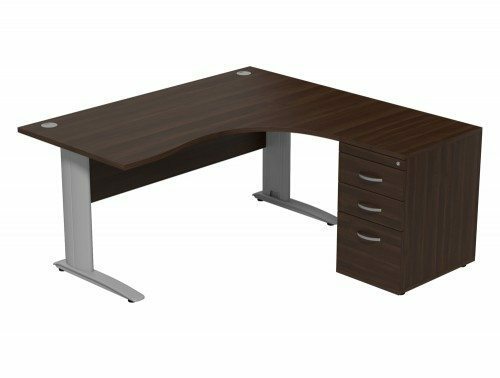 Are you looking for furniture that can maximise your working area? Then l-shaped curved desks are the perfect option for you! We’ve got a range of high-quality radial desks, for every style and budget. 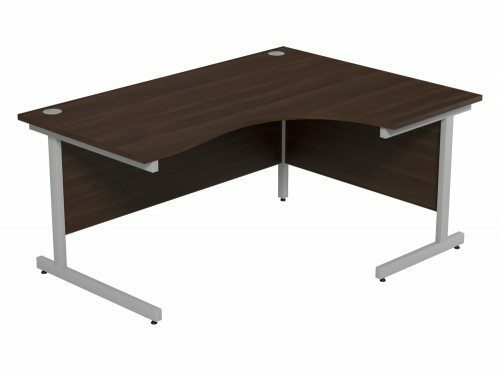 Whether you want a modern l-shaped executive desk to reflect the growing success of your office, a large l-shaped desk where you can store your desktop or printer, or a desk on a budget, we provide quality products to fit your vision. 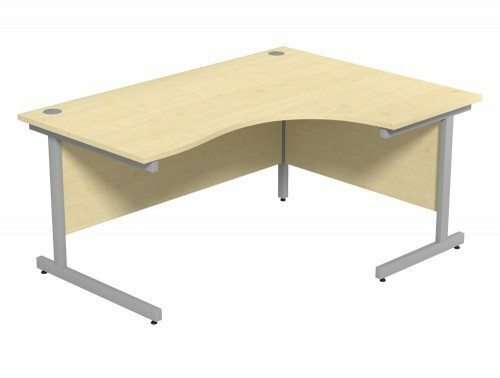 Radial desks are the ideal solution for offices with limited floor space, as they can be placed in the corner of the room. They are also perfect if you’re looking for extra space for your desktop or printer and they provide easy access to everything on your workstation. This means less leaning and reaching, which can help benefit your health in the long term. Our desk are diverse and versatile. Do you want a neat and tidy look for your office? 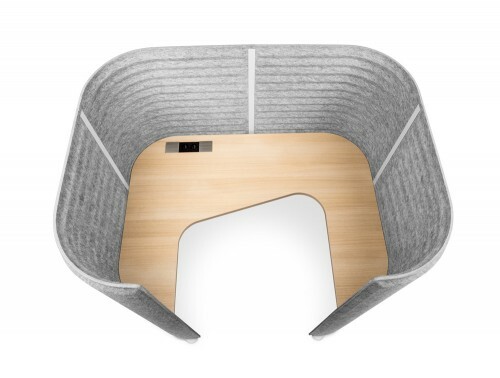 Choose an l-shaped desk with side storage. You can place your stationery and important documents within easy reach while keeping your desk tidy. If you want to encourage collaboration, you can opt for a modular system for two or three people. They provide easy access and visibility across desks and are ideal for collaborative sessions. Customise your desk with removable desk screens to offer your employees some privacy. 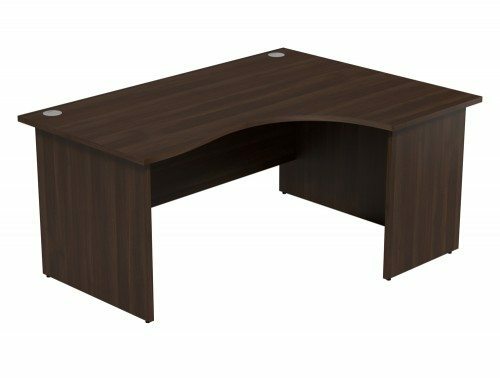 If you are looking for a classy executive desk that reflects your growing business, opt for executive l-shaped office desks. They come in different finishes, including beech, walnut or maple and they are perfect for a stylish and professional look. 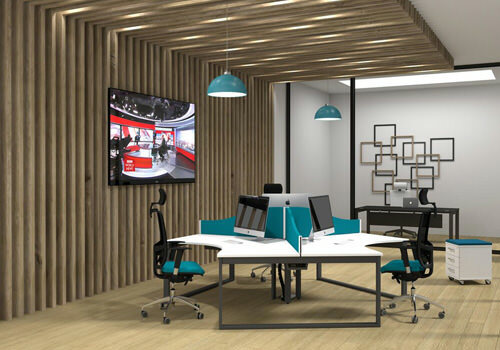 We even go beyond the traditional office setting and offer radial sound rooms. They are meeting pods where people can go if they need more privacy. Its contemporary radial shape offers plenty of space for meetings and collaborative sessions. The exterior panels are made of light polyester felt in pale or dark grey, so they are adaptable to the aesthetic of any office. They are a perfect addition to an open-space office where people need occasional privacy a call or a work session. Our range of radial desks boasts attractive additional features, such as electric cable points and adjustable legs. You can go the extra mile and add a customised pedestal with a cushion. 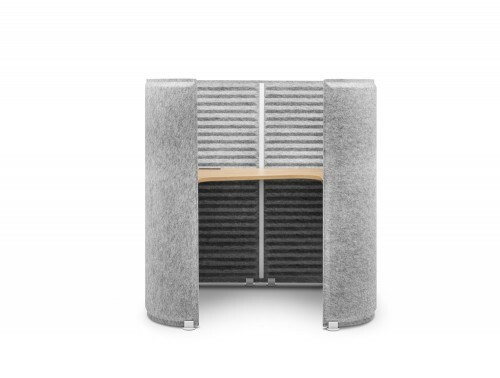 This multipurpose piece of furniture can turn into a seat for spontaneous meetings and collaborations, giving your office a modern and versatile touch. 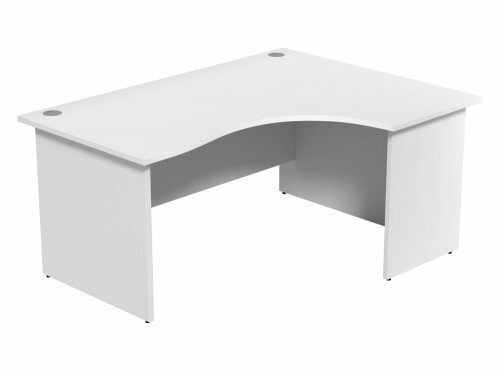 Our desks come in different finishes adaptable to your office’s style. We offer up to 16-panel colours and 4 metallic finishes for a modern or more traditional look. Our most popular options are maple, walnut, beech oak or white. 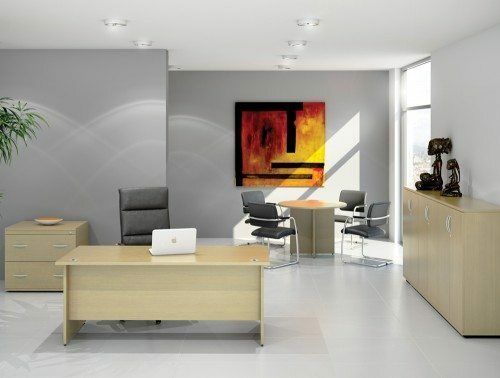 Whatever you need from your executive desk, you’ll find it right here at Radius Office Furniture! 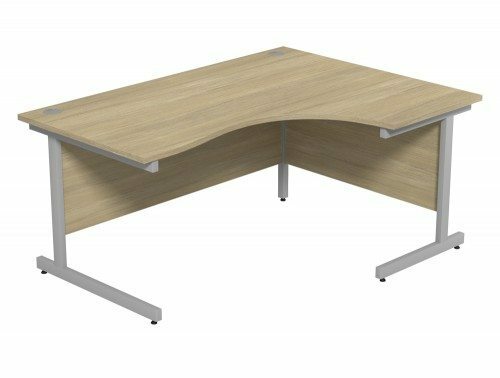 If you’d like to find out more about our range of Radial Desks or discuss your requirements, simply request a callback.